The west coast really changes in character from north to south, from the characteristic Bohuslän archipelago with its islets to the sandy beaches of Halland. This also applies to the conference offer. I Western Sweden you have a good variety to choose from. For a kick-off or a more "fast-paced" event there are many hotels and facilities with a high party atmosphere. But the west coast also offers the opposite. It's no coincidence that authors and artists for years have settled in the western coastline to find creative calm. 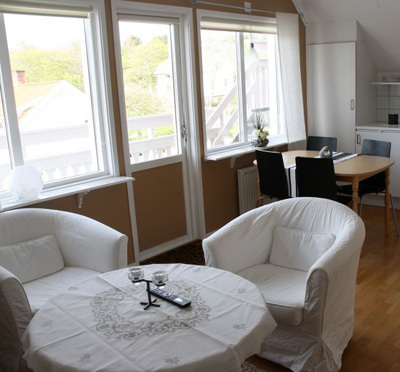 In Bohuslän, the northern part of the west coast you will find conference facilities of different styles. In Strömstad, Marstrand and Stenungssund there are elegant hotels directly by the sea, well suited for conferences with accentuation on "social" elements such as kick-offs and celebrations. Along the E6 through Bohuslän you will also find conference facilities of more classical kind - mansions and even castles. We must not forget that there are really nice conference options even inland. But of course, the area is a lot about sea. Some conference activities are self-written for the west coast. If the season is right, an exciting activity might be to include, for example, the conference participants on lobster fishing - an experience that sets foot print to the conference. You may even place the conference on an island where your participants have to go by boat! Looking further south, Halland offers many nice options in and around towns like Falkenberg, Varberg and Kungsbacka. Here you will find both luxurious facilities and budget options. The range extends from hotels with high capacity on both conference and accommodation - to smaller, family-owned, idyllically located facilities. Again, the west coast has the most. Think about what character you want at your conference and compare facilities here on the page. We at Kontur Konferens are at your service for personal dialogue about your criteria, recommendations and to provide comparable quotoes from matching venue - and of course - to complete your conference booking.